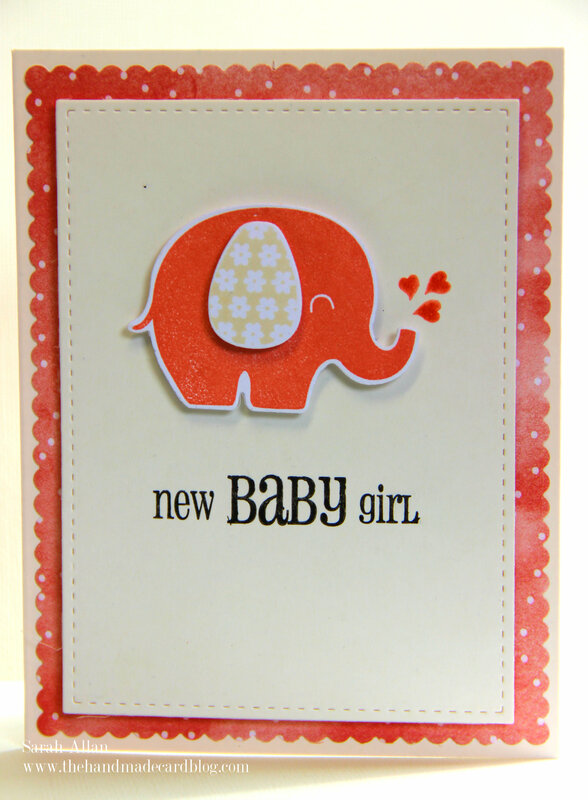 A new baby girl has arrived … although not the same baby girl that arrived today for the Duke and Dutchess of Cambridge, but to friends of ours son and daughter-in-law. 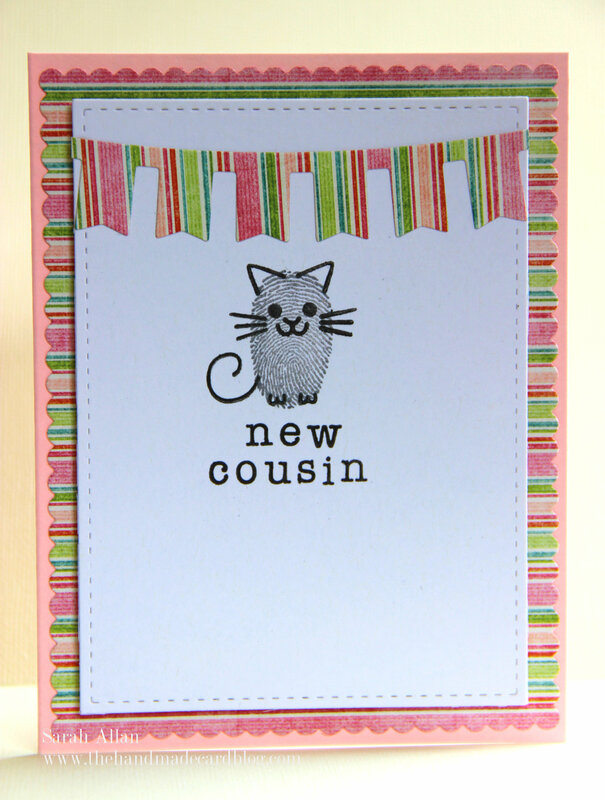 Cream Cardstock cut and scored to make a 4.25″ x 5.5″ card. 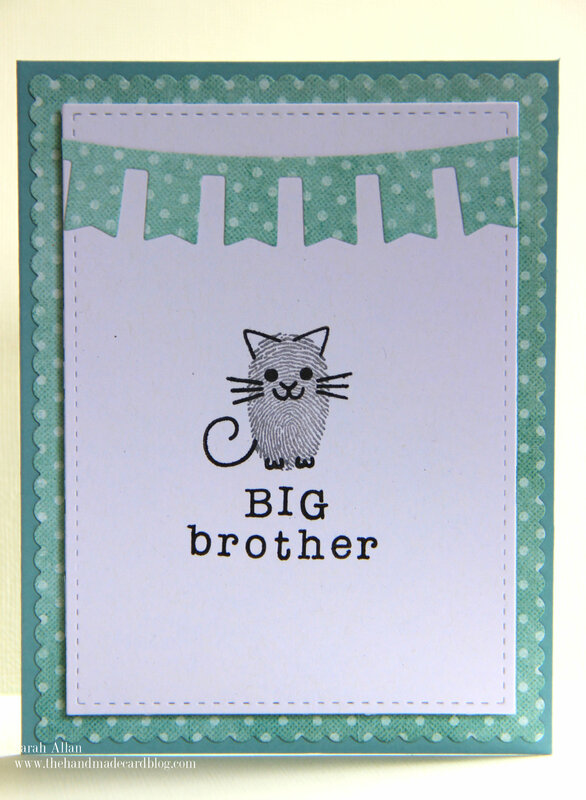 Love the Big brother card! 😀 It looks very lovely!